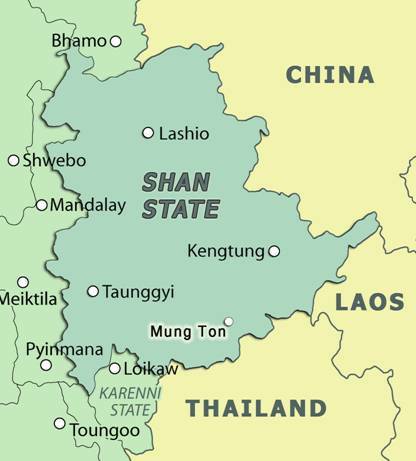 In Shan State, bordering China to the north, State several rebel groups (in total about 600 people) attacked the positions of the armed forces of Myanmar. As a result of this attack, there are victims among the military, police and insurgents, as well as among the civilian population. The rebels of the Kachin Independence Army groups, the Army of Myanmar National Democratic Alliance and the National Liberation Army Taang blew up several buildings and some objects of the infrastructure, but military forces were able to repel the attack. The escalation of the conflict rises after some resumption of Myanmar-US relations, and Obama's decision to lift the sanctions "for further democratization" of Myanmar. In addition, these events in the region can not be considered in isolation from each other. In particular, territorial conflicts (the Sino-Indian and Sino-Vietnamese - after the meeting of the delegations of both India and Vietnam with colleagues from Washington) worsened around China's borders, and also internal ones such as demonstrations in Indonesia and Malaysia, against the Prime Ministers of the countries turning to Beijing, the escalation of tensions in Nepal. Moreover, theare are seats of instability in China itself: nationalist protests continue in Hong Kong. However, the official Beijing calls all parties of the conflict Myanmar for calm and dialogue, as Foreign Ministry spokesman Geng Shuang of China reporting.